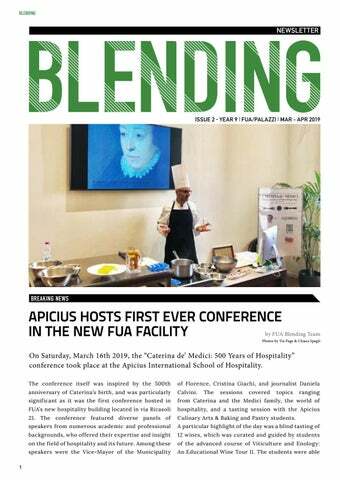 On Saturday, March 16th 2019, the “Caterina de’ Medici: 500 Years of Hospitality” conference took place at the Apicius International School of Hospitality. Culinary Arts & Baking and Pastry students. to recognize the black Pinot, and easily identified a classic spumante. The audience adored the qualities of the Chardonnay from Alto Adige, which was fermented and aged in oak barrels. The theme of the conference, Caterina de’ Medici, extends itself to the upcoming issue of Blending magazine, submissions for which are open until Monday, March 25th. As well as the theme of Caterina de’ Medici herself, Blending will also accept submissions that apply to the broader concept of “identity,” as this was a motif that can be seen throughout Caterina’s life. For more information on submitting writing and photography for Blending magazine, write to blending@fua.it. and fashion can be a dangerous combination. animal testing is still important to consider. and terrifies, providing many sources for inspiration. haute couture, begins in a long hallway of narrow rooms. in its execution it is both a celebration and a criticism. natural world in more ways than one. Animalia Fashion will be at Palazzo Pitti until May 5, 2019.
but the artworks that they commissioned will last forever. ART AND PLACES: SIENA AND VENICE Although an art gallery is usually the best location to appreciate art in its various forms, Italy hosts a number of other places where art can be curated, exhibited, and appreciated. Students of the Gallery Exhibition course reflect on the artistic impact of two mediums in which art and creativity are exhibited, the Cathedral of Siena, and the carnival of Venice. decorative elements and ceilings are in the "grotesque" style, one which imitates ancient Roman examples that were very popular with artists and humanists at the time. The fresco starts at the far end on the right wall, depicting a young boy who grows older and gains rank in the ministry as one follows the paintings. Frederick Hartt describes the library: â&#x20AC;&#x153;The frescoes fill ten lofty compartments that reach from the reading desks to the arches of the vault. The compartments are separated by painted pilasters and are framed by illusionistic arches whose jambs and soffits are decorated with marble incrustation (painted, of course); the pilasters have a continuous decoration in grotteschi. Each compartment allows us to look out, as if through the arch of a gigantic loggia, into a scene from Aeneas Silvius' life, painted in clear and brilliant colors.â&#x20AC;? With its revolutionary gothic style and its amazing height, the Cathedral of Siena is something to see, but do not forget to visit the real show which is the Piccolomini Library. centuries, Venice’s carnival is a celebration of culture and history. March. The carnival pays tribute to the original victory of the Republic of Venice against the Patriarch of Aquileia in 1162. To honor this victory, the city of Venice gathered in San Marco Square. The carnival became very popular during the 1800s and has continued to the present day. San Marco Square acts as the city’s center, where the beautiful Basilica of San Marco stands. Surrounding the basilica is the Palazzo Ducale, which is an ornate castle displaying Venice’s historical paintings and interior décor. individuals. Some are delicately painted with soft colors while others are dark and daunting. Some masks have feathers extending from the eyes while others have stunning jewels hanging below. Each mask is unique, making the carnival of Venice an experience like no other. HIDDEN SURPRISES IN GUBBIO During their Educational Field Learning to Gubbio and Fabriano, students of the Travel Writing course explored the two beautiful towns, located in Umbria and Le Marche respectively. These students have gathered their reflections on Gubbio in particular, and its impact as a small yet breathtaking town with a rich history, one which can be seen in its art and architecture. Ubaldo where his whole mummified body lays on display, minus one finger that can be found in Thann, Haut-Rhin, France. Every May a celebration is held in his honor, La Festa dei Ceri, including a “candle race” with wooden statues of saints that are hoisted up and carried through the winding, sloping streets of Gubbio. da Montefeltro, and the Duomo of Saint Mariano and Saint Giacomo. The two buildings stand tall, neither more powerful than the other. The air inside the Duomo feels thick and smells of incense. The ceiling is lined with curved arches that frame the timeless artworks of Sinibaldo Ibi, Giuliano Presutti, and Dono Doni. The cold air carries a sense of serenity. The silence that fills the Duomo is broken by the indistinct whispers of all who overtake the space. The light is dim, but sun shines in from the rose window and onto the cream-colored altar that faces the pews. A circular dome surrounds the altar: its ceiling, dark blue with gold specks, looks like a midnight sky. The crucifix resides here, hanging from the ceiling of stars. 3rd century BC. The Eugubine tablets, also called the “Gubbio Tables,” are bronze tablets recording the rituals and culture of the region. They are written in alphabetic letters in the original language of Umbria. With artifacts that date back so far and contain such rich historical contents, it is no wonder that the abundance of locality washes over visitors in an instant. The Italian Advanced I students learn about Florentine sayings and the interesting stories and legends that inspired their creation. Scioccato da questo fatto, il popolo fiorentino ha coniato questa famosa frase che è usata ancora oggi . few spring/summer 2019 trends appearing on the runway. Development major at Western Michigan University. our model is glowing in vintage items from head to toe! and the quality of the material that was used. fashion on offer is a quest I encourage you to embark on. treasure chest; I assure you, though, it’s worth it. per year, which is incredibly wasteful. rather than something you could wear everyday. The idealistic portrait of Dante Alighieri is of a 13th century romantic poet and the founding father of the Italian language. The city of Florence is full of culture, and Dante’s literature was not immune to the artistic passions the city inspires in poets and artists alike. giving them good luck in their love lives. lighting the way from the Ponte Vecchio to the Duomo. met when they were just nine years old. always here, something about Florence undoubtedly sparks creativity in philosophical minds. well as a martyr for the love and tragedy of their story. yet you can also experience his many devotions to Beatrice in his other works. To get an even better insight into their mysterious love, you can find it interwoven into the seams of Dante’s first epic, La Vita Nuova, describing the two lovebirds encountering one another with the guidance of Amor. While Dante may not be the modern writer of poetic love that we find in the best romance novels, there is an underlying love that indeed separates Dante from his time period and sets him in the metaphorical literary chair of honor. Dante’s work is more than just about romantic love, and it steers its way around the concept of passion. Religious implications are highly noticeable in the framework of all of his epics, but the love between Dante and Beatrice can also stand for many different relationships that extend beyond the surface. While religious and spiritual love is clearly depicted between the two humans, the love Dante shares transcends beyond the human form. Dante and his writings, all of which are influenced by Beatrice, can be seen as a poetic love, and a device he uses in seeing Beatrice as a muse and symbol for his inspiration. memory of her first reactions to the city of Florence. not enjoying the city and those she was with. I graduated with my masters in Italian Cuisine from Apicius International School of Hospitality. 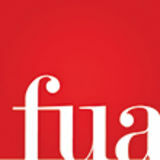 FUA: What have you been up to since leaving Florence? academic member of Palazzi FAIE. the Student Life Department and Development Office.